Fountain Direct select brands that resonates our ethos of quality-first products and Bisque qualifies as a recommended brand. 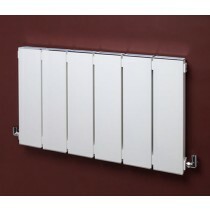 A true pioneer, Bisque is credited with being the first company to offer Designer Radiators in the UK. The Bisque philosophy and vision continues to insist of innovating with an emphasis on practicality. Designed for incomparable durability, each Bisque radiator is a culmination of years of research. Fountain Direct bring together a vast array of Bisque radiations in exciting styles, colours and shapes. You get to choose from more than 40 styles with an unending range of finishing and colours. Choose Bisque for your household radiator requirements when reliability and reasonable pricing at the top of your list of priorities.